The League Bloggers Awards have returned for 2018 as two winners were announced for their performances in January. Kano Pillars forward, Junior Lokosa and Abdu Maikaba of Akwa United have been named the League Bloggers Awards (LBA) Player and Manager respectively in the Nigeria Professional Football League (NPFL) for the month of January. Lokosa and Maikaba emerged winners for their outstanding performance with their clubs in the month of January. They finished head and shoulders ahead of six other nominees from LBA's shortlist of four each in the player's and manager's categories. 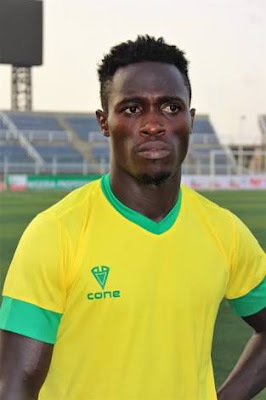 The Kano Pillars striker, currently the leading scorer in the country's top division, accounted for 67 percent of his club's total goals in January. He scored six goals in six matches, only failing to score in the 0-0 draw at El-Kanemi Warriors. It was in the game against title holders Plateau United that Lokosa netted twice to help his club to a 2-0 success. His tally ensured he won the player's award for January ahead the trio of Samad Kadiri of Lobi Stars as well as the Akwa United pair of Victor Mbaoma and Dennis Nya who also had impressive outings in their first month of the season. Lokosa's other goals came in the games against Katsina United, Nasarawa United, Rivers United and Abia Warriors. 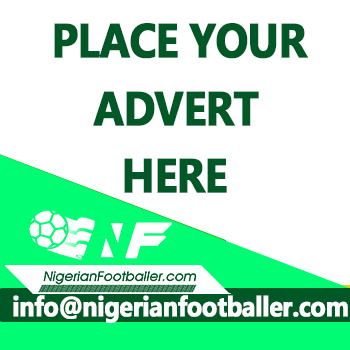 Maikaba, on the other hand, came out tops for the manager's award in a field that included Plateau United's Kennedy Boboye, Ibrahim Musa of Kano Pillars and Duke Udi of Sunshine Stars. The Akwa United head coach led his team to finish top of the log in January. His team won four out of their six matches including a 2-1 win at Tornadoes. Maikaba's team also drew 1-1 at FC Ifeanyiubah in their last game in January. The only blemish for Maikaba's men in the month under review was a one-nil defeat at Go Round FC on the second matchday of the season. Lokosa and Maikaba will be presented with the awards on later date by LBA.